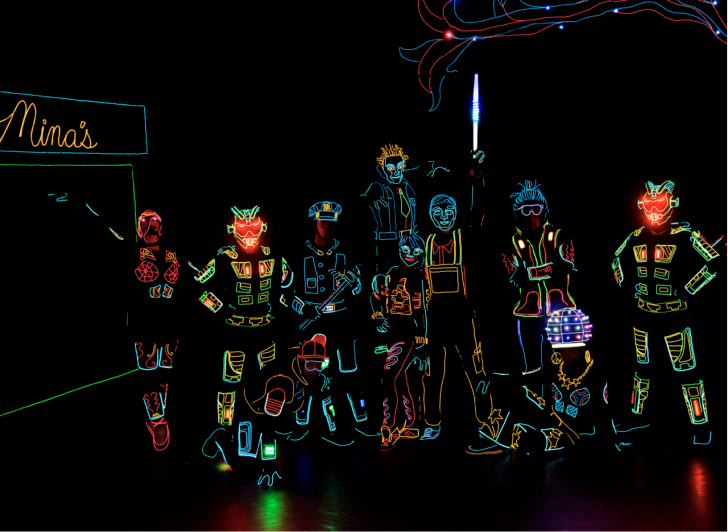 Schimmel Center presents two family friendly performances of iLuminate—an action-filled show of light and sound that fuses dance and technology. Cast members wear glow-in-the-dark suits that are controlled by wireless lighting programs to create specialized and choreographed dances and illusions. The company gained nationwide exposure after being seen on America’s Got Talent in 2011. The production features dance styles ranging from contemporary to popping to breaking, set to popular and classic hits by Michael Jackson, Bruno Mars, James Brown, Janet Jackson, Chris Brown, LMFAO, The Wanted, and Sam Smith on a completely darkened stage. Schimmel Center is in Pace University, 3 Spruce St.